Those long-term followers know I use ratio charts as a part of my process, mostly to help determine where best to allocate investment capital. As with investment prices, trends persist when it comes to outperformance (ratios). The chart below I call “Risk On” is a ratio of the US SP500 stock index performance to US 30-year treasury bonds and its message helps define current risk levels. If the ratio is rising, risk is low and you have achieved (and will likely continue due to trend persistence) the best return by investing in US stocks only. 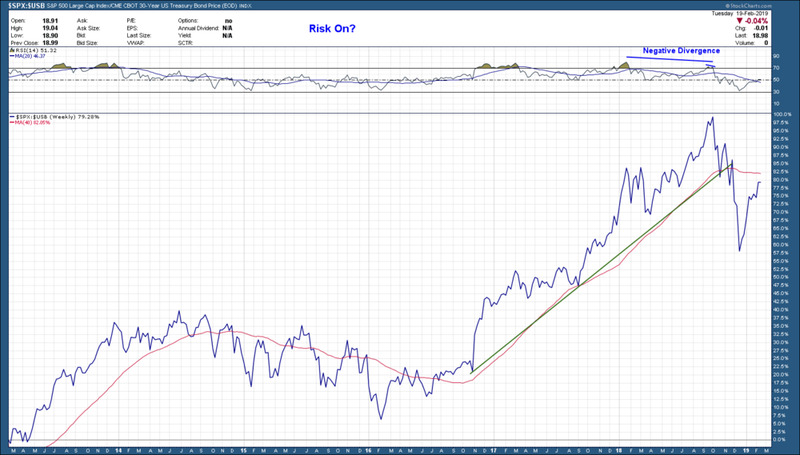 If the ratio is falling, risk is elevated and bonds are out-performing. With a quick glance, what should be immediately noticeable is the ratio broke below its rising uptrend support line in November of last year. This occurred at the same time when RSI momentum (upper pane) diverged (both short term and longer term) with the ratio warning of an increase in risk and possible trend change. From that point the ratio was crushed with the strong year-end selloff in stocks. With stocks rebounding strongly from their massively oversold condition the ratio has, as you would expect, mirrored its move higher. Uninspiringly, the ratio closed out yesterday still below its falling 200-day moving average and has yet to make its first higher low. Looking left we see that the ratio is about the same place it was 12 months ago telling us that stocks and bonds have had a comparative return. Now what? Closing out this post right here intentionally not providing a summarization or point to the post, I am wondering how you would interpret the charts message? Pile in to stocks gunz a blazin’? 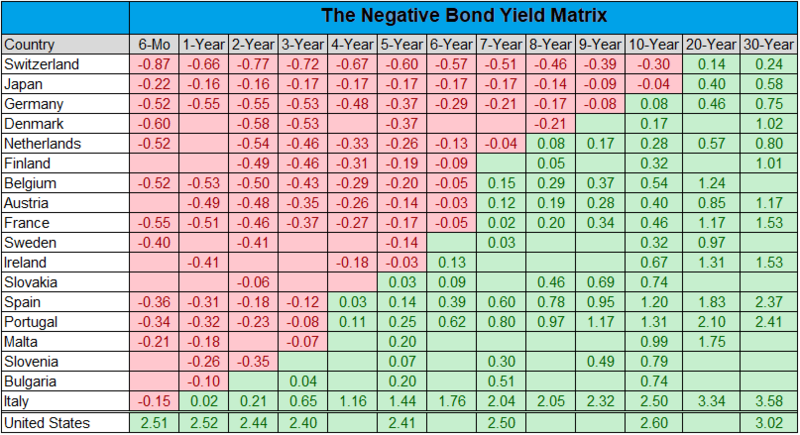 Stay on the sidelines in the safety of bonds and let the dust settle? or something in between? I’d love to hear your thoughts and opinions.